Real life doesn't always need to be posted online. You make me want to be a better person," he says softly. "To deserve you. I want you to know how right you feel to me. There is no denying the fact that Janet Gurtler writes quality contemporary fiction. 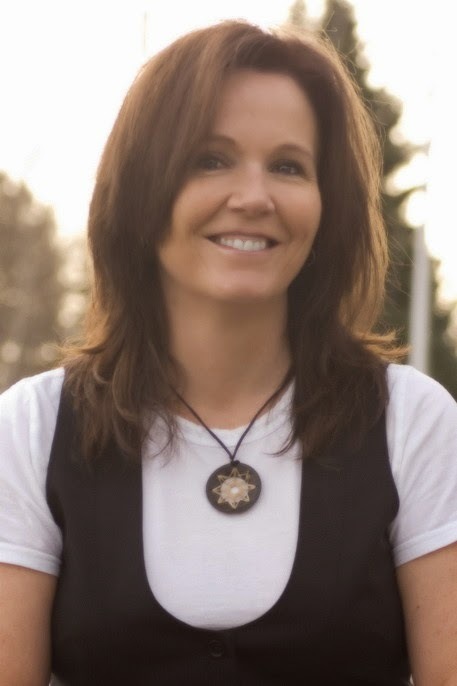 Her novels are thought-provoking, emotionally affecting and deeply insightful. They're also honest, relatable and often times completely heartbreaking. At the same time, they're captivating and powerful enough to engage even the most reluctant of readers. I have read and loved all of her previous books, but #16thingsIthoughtweretrue is by far my favorite one. There's just something about it - whether it's the summer atmosphere, the poignant and emotional plot line, or the fantastic chemistry between the characters - that made me fell in love with it. Morgan is a delightfully vibrant heroine. She can be sweet and caring, but she can also act like a spoiled little princess sometimes. She worries about everything - from the more serious things, like issues surrounding her family life, to silly stuff, like her Twitter following and how she's perceived by people around her. She's a typical teenage girl and I think Janet Gurtler did a marvellous job fleshing out her personality. She was an entertaining character to follow - with all her flaws and quirky habits - and I quickly found myself emotionally invested in her story. As far as secondary characters are concerned, I really loved Adam. Well, I liked all the secondary characters to be honest, but Adam was definitely the most intriguing one of them all. Full of surprises, he is not who Morgan originally thought he was and their interactions are one the highlights of the story. 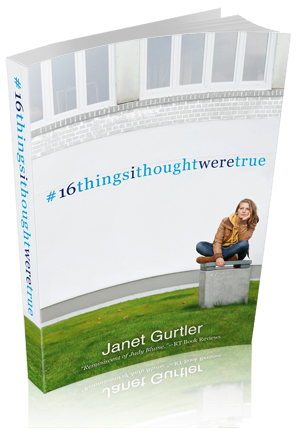 I think what I love the most about Gurtler's books, and #16thingsithoughtweretrue in particular, is the easy-to-digest, conversational tone. Her writing is simply devourable, making her books unputdownable one-afternoon type of reads. So often YA contemporary books - and especially those dealing with difficult issues and more serious topics - are too heavy, too angsty, or too depressing. Gurtler's books, on the other hand, are perfectly balanced, blending together lighter and darker undertones, offering both something fun and something more sophisticated. Something that stays with you long after you turn the last page. #16thingsithoughtweretrue is many things. It's a fun and entertaining road-trip story. It's a deep and insightful journey to self-discovery. It's a tale of love, friendship, family bonds, mistakes, and what it means to be a modern-day, technology-obsessed teenage girl. All in all, it's a compulsively readable book with a great story line, interesting characters, and memorable and relevant life lessons.